The Scorpion could sell what they knew, or offer to remove the threat… or, if necessary, create a spark in just the right place to turn this pile of tinder into a wildfire. Whatever served their purpose best. 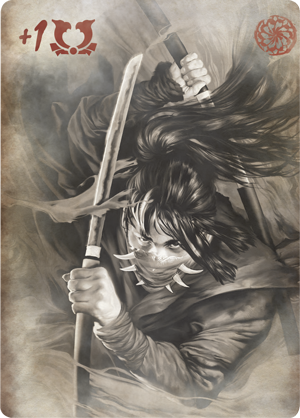 So far, this year has been very good to the Scorpions of Legend of the Five Rings: The Card Game. Led by Bayushi Shoju, Bayushi Kachiko, and the many samurai who have represented them in Organized Play, the Scorpions have insinuated themselves into numerous positions among the game's highest ranks, and they have seen many of their most far-reaching schemes move slowly, surely, toward fruition. They continued to make excellent use of the information their spies presented to them, winning tremendous influence within the Imperial court and the distinction of hosting the Emperor's Winter Court. They surprised both the Lions and the Crane by winning Toshi Ranbo by way of Imperial decree. 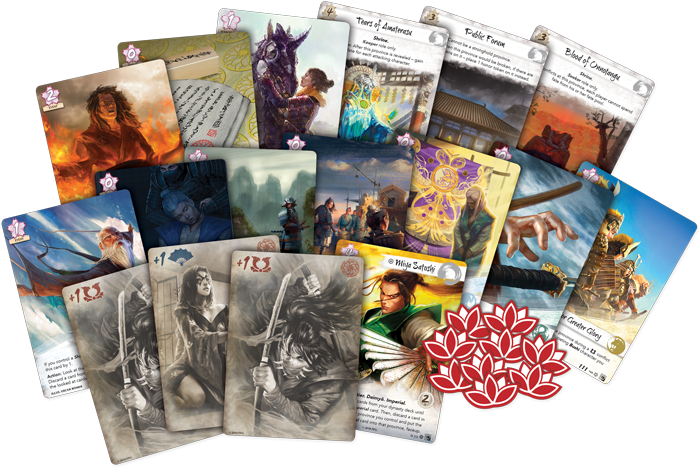 And, most recently, they have won the Imperial favor heading into the third season of 2018 Legend of the Five Rings: The Card Game Organized Play. This means that the 2018 Season Three Stronghold Kit will be—like so many other things in 2018—themed to honor the Scorpions and their cunning. Scorpion samurai enjoyed enough victories throughout the months supported by the Season Two Stronghold Kit that they ran away with the Clan Vote, and the Season Three Kit will, therefore, feature a plastic Imperial Favor card lavishly decorated with Scorpion art. Which Clan Will Shine in Season Three? Startled and spurred to action by the Scorpion clan's dominating start to 2018 Organized Play, the other clans will certainly push back hard in Season Three. They'll delve the Scorpion secrets revealed in the Underhand of the Emperor Clan Pack, and they'll use their knowledge of these new Scorpion tactics to find greater success in the battles supported by the 2018 Season Three Stronghold Kit. You can represent your clan's interests by joining these battles. They're your chance to refine your skills and to experiment with new techniques. 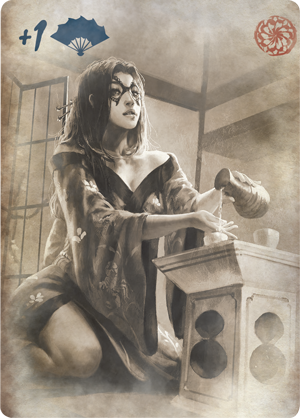 You'll be able to explore the courtier's greatest arguments and the swordmaster's cleanest cuts. You'll resist the ambushes set by other clans, you'll confront their lies in the Imperial court, and you'll find your chance to claim not only honor, but riches—and the chance to sway the Emperor and help your clan win the Imperial favor. 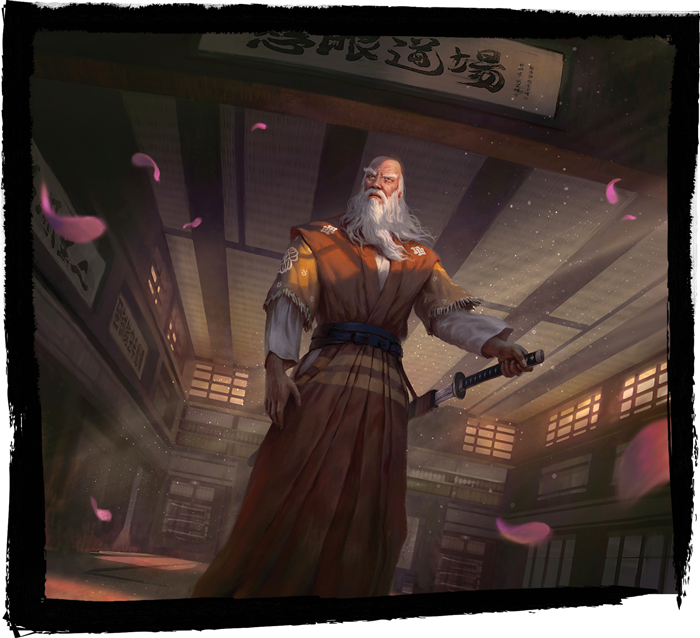 Each Stronghold Kit for Legend of the Five Rings: The Card Game contains enough prizes to support three Conflict Tournaments or three Dynasty Leagues—or a combination of Conflict Tournaments and league play. The kit's flexibility ensures your local event organizer will be able to structure the events in the way that best supports your community. In addition, the 2018 Season Three Stronghold Kit supports a special Harness the Elements event. 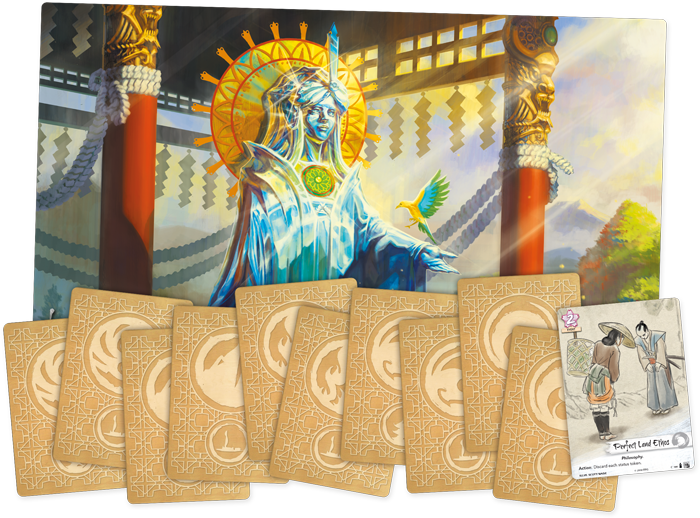 This event celebrates the additional roles each clan has gained with the close of the Toshi Ranbo Kotei Series and comes with its own array of prizes—including an exclusive playmat and engraved wooden cards for each of the game's elemental roles. You can download the 2018 Season Three Stronghold Kit Event Outline below to review the entire list of Season Three prizes and their recommended distribution. Of course, there's more at stake during your Season Three battles than just the prizes. There's your honor—and the strength of your clan. Fight your way to the top of any of your store's Season Three Conflict Tournaments or Dynasty Leagues, and you will earn a code card and the right to support your clan in the Imperial court. You'll use your code to vote for your clan on L5RVote.com, and in so doing, you'll support the rest of your clan in your efforts to gain Imperial recognition. At the end of Season Three, your votes will determine which of the Great Clans will be honored by the prizes of the 2018 Season Four Stronghold Kit! Every samurai in Rokugan suspects the Scorpion of underhanded tricks and dishonorable tactics. The problem is that very few can catch the Scorpion in the act. Now the Scorpion have risen to a position of tremendous influence, and it's almost as though they can whisper directly into the ear of the Emperor himself. But the world demands balance, and the other Great Clans must rise. Which of them will prevent the Scorpion from ensaring the Emerald Empire within their web of lies? Which clan can lead Rokugan back toward a path of honor and glory? Play your part in shaping the Emerald Empire. Support your Champion, and rally the other members of your clan. Talk to your favorite local game store about how you can take part in the third season of 2018 Organized Play for Legend of the Five Rings: The Card Game!